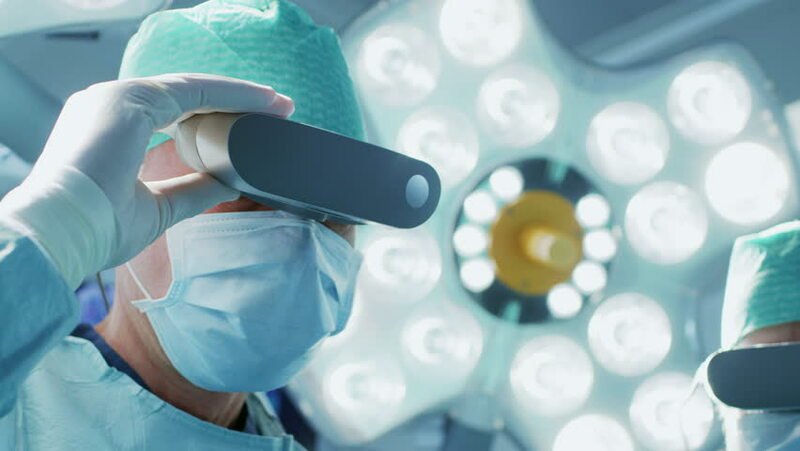 Close-up Shot of a Surgeon Putting on Augmented Reality Glasses to Perform State of the Art Surgery in High Tech Hospital. Doctors and Assistants Working in Operating Room. Shot on RED EPIC-W 8K.